A unique journal aiming to inspire and support development policy and practice, for social justice and gender equality. This issue explores the diversity, scope and value of migrant women’s work, and challenges enduring misconceptions and myths about women migrant workers and the work they do. Feminist researchers and activists are challenging policymakers to shift their focus wider to see migration from an intersectional feminist perspective. 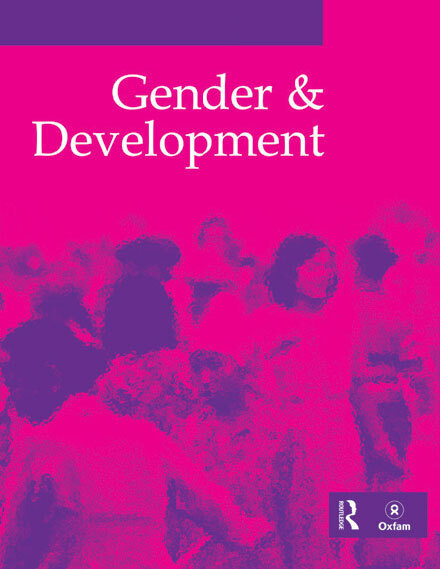 For 25 years, Gender & Development has published a range of voices from development research, policy and practice and feminist activists across the globe. The journal publishes three issues a year on key themes. This issue explores the diversity, scope and value of migrant women’s work, and challenges enduring misconceptions and myths about women migrant workers and the work they do. Feminist researchers and activists are challenging policymakers to shift their focus wider to see migration from an intersectional feminist perspective. Articles are also available free to access via the Oxfam Policy & Practice website.